It is becoming more apparent that Congress is keen to participate in the modelling of the new transition architecture and the House of Representatives recently overwhelmingly passed the H.R. 805, the Domain Openness Through Continued Oversight Matters (DOTCOM) Act authored by Rep. John Shimkus (R-Ill.), that gives Congress a 30-day window to review the transition plan before the National Telecommunications and Information Administration relinquishes control. ICANN’s new gTLD process has several avenues that new gTLD applicants can go through to seek recourse in the event that their application is stopped by ICANN’s processes and especially the board. The new gTLD program has more than 11 Independent Review processes where affected applicants are seeking to overturn both GAC and the New gTLD Program Committee (NGPC)’s unfavorable decisions. The latest .Amazon interest by congress as a prerequisite for ICANN to proof that it is indeed ready to run without IANA oversight could embolden other applicants to seek the voice of congress in resolving their cases. Other applicants who have sought congressional voice on ICANN’s role in new gTLD hitches include .Africa applicant DotConnectAfrica (DCA), who in fact was the first to bring matters of ICANN accountability to congress. Post congressional engagement, DCA has concurrently initiated the IRP process of ICANN whose result is expected to be decided by an IRP panel, before further congressional intervention like Amazon. As co-chairs of the Congressional Trademark Caucus, we write to encourage you to actively seek resolution of the .AMAZON generic top level domains (gTLDs). We understand that Amazon has recently reiterated to 1CANN its interest in finding a mutually acceptable solution for the .AMAZON gTLDs. At this critical stage in which the United States Government prepares to transition stewardship of the IANA functions, we believe it is incumbent upon ICANN to resolve this issue, demonstrating that all stakeholders and trademark owners can be treated fairly, according to ICANN’s multistakeholder-developed rules and existing international law. Amazon’s 2012 applications for the .AMAZON gTLDs conformed fully to the requirements of ICANN’s Applicant Guidebook, received full marks in ICANN’s application evaluation, and were consistent with its globally protected “Amazon” trademark. 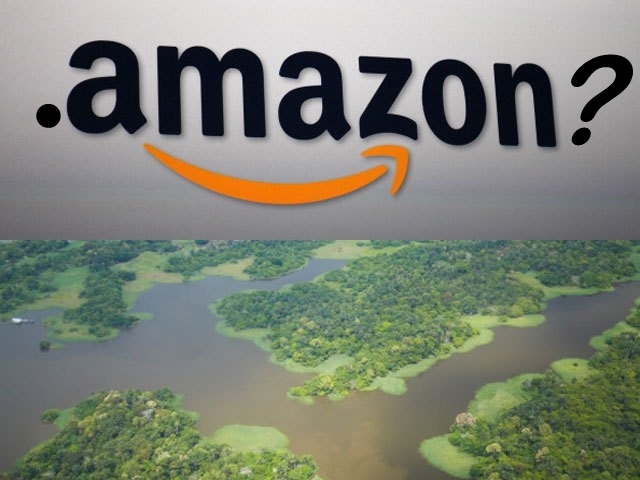 Nevertheless, ICANN refused to allow the .AMAZON applications to proceed after the Governmental Advisoiy Committee objected — outside of ICANN’s application objection process — because of sovereignty concerns raised by Brazil and Peru. In fact, neither Brazil nor Peru has any legally recognized rights — let alone intellectual property rights — in the term “Amazon” and there is no basis in international law for either country to assert rights in the term “Amazon.” Based on the rules set by the ICANN community and supported by international law generally as well as international trademark law specifically, ICANN’s rejection of the .AMAZON applications appears to have no legal basis and potentially creates a troubling precedent of governments disregarding established principles of international law, including international trademark law. We strongly support attempts to find a mutually acceptable solution for .AMAZON and we urge ICANN to convene the interested parties. By resolving this outstanding issue, ICANN can demonstrate to Congress that it is accountable to the global community, independent of governmental interference, and respectful of international trademark law; such a demonstration is crucial before the 1ANA functions transition.